2018年04月08日 05:02撮影 by EX-ZR1700 , CASIO COMPUTER CO.,LTD. 2018年04月08日 05:20撮影 by EX-ZR1700 , CASIO COMPUTER CO.,LTD. 2018年04月08日 05:25撮影 by EX-ZR1700 , CASIO COMPUTER CO.,LTD. 2018年04月08日 06:15撮影 by EX-ZR1700 , CASIO COMPUTER CO.,LTD. 2018年04月08日 06:19撮影 by EX-ZR1700 , CASIO COMPUTER CO.,LTD. 2018年04月08日 06:20撮影 by EX-ZR1700 , CASIO COMPUTER CO.,LTD. 2018年04月08日 06:32撮影 by EX-ZR1700 , CASIO COMPUTER CO.,LTD. 2018年04月08日 06:34撮影 by EX-ZR1700 , CASIO COMPUTER CO.,LTD. 2018年04月08日 06:44撮影 by EX-ZR1700 , CASIO COMPUTER CO.,LTD. 2018年04月08日 06:45撮影 by EX-ZR1700 , CASIO COMPUTER CO.,LTD. 2018年04月08日 06:51撮影 by EX-ZR1700 , CASIO COMPUTER CO.,LTD. 2018年04月08日 07:34撮影 by EX-ZR1700 , CASIO COMPUTER CO.,LTD. 2018年04月08日 08:51撮影 by EX-ZR1700 , CASIO COMPUTER CO.,LTD. 2018年04月08日 08:57撮影 by EX-ZR1700 , CASIO COMPUTER CO.,LTD. 2018年04月08日 09:00撮影 by EX-ZR1700 , CASIO COMPUTER CO.,LTD. 2018年04月08日 10:20撮影 by EX-ZR1700 , CASIO COMPUTER CO.,LTD. 2018年04月08日 10:21撮影 by EX-ZR1700 , CASIO COMPUTER CO.,LTD. 2018年04月08日 10:32撮影 by EX-ZR1700 , CASIO COMPUTER CO.,LTD. 2018年04月08日 11:20撮影 by EX-ZR1700 , CASIO COMPUTER CO.,LTD. 2018年04月08日 11:27撮影 by EX-ZR1700 , CASIO COMPUTER CO.,LTD. 2018年04月08日 11:29撮影 by EX-ZR1700 , CASIO COMPUTER CO.,LTD. 2018年04月08日 11:59撮影 by EX-ZR1700 , CASIO COMPUTER CO.,LTD. 2018年04月08日 12:35撮影 by EX-ZR1700 , CASIO COMPUTER CO.,LTD. 2018年04月08日 12:42撮影 by EX-ZR1700 , CASIO COMPUTER CO.,LTD. 2018年04月08日 12:56撮影 by EX-ZR1700 , CASIO COMPUTER CO.,LTD. 2018年04月08日 12:57撮影 by EX-ZR1700 , CASIO COMPUTER CO.,LTD. 2018年04月08日 13:10撮影 by EX-ZR1700 , CASIO COMPUTER CO.,LTD. 2018年04月08日 13:12撮影 by EX-ZR1700 , CASIO COMPUTER CO.,LTD. 2018年04月08日 14:05撮影 by EX-ZR1700 , CASIO COMPUTER CO.,LTD. 2018年04月08日 14:06撮影 by EX-ZR1700 , CASIO COMPUTER CO.,LTD. 2018年04月08日 14:13撮影 by EX-ZR1700 , CASIO COMPUTER CO.,LTD. 2018年04月08日 14:54撮影 by EX-ZR1700 , CASIO COMPUTER CO.,LTD. 2018年04月08日 15:06撮影 by EX-ZR1700 , CASIO COMPUTER CO.,LTD. 2018年04月08日 15:16撮影 by EX-ZR1700 , CASIO COMPUTER CO.,LTD. 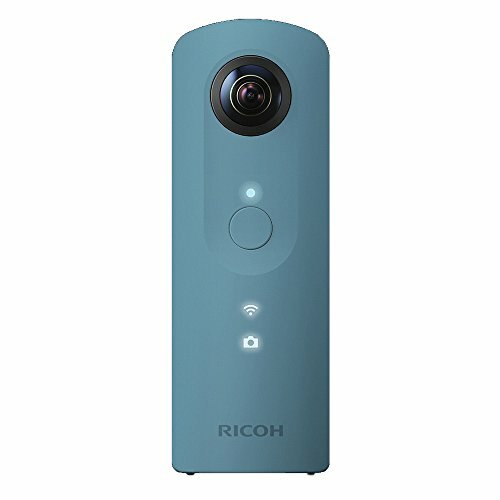 2018年04月08日 15:28撮影 by EX-ZR1700 , CASIO COMPUTER CO.,LTD. 2018年04月08日 15:29撮影 by EX-ZR1700 , CASIO COMPUTER CO.,LTD. 2018年04月08日 15:30撮影 by EX-ZR1700 , CASIO COMPUTER CO.,LTD. 2018年04月08日 15:47撮影 by EX-ZR1700 , CASIO COMPUTER CO.,LTD. 2018年04月08日 15:59撮影 by EX-ZR1700 , CASIO COMPUTER CO.,LTD. 2018年04月08日 16:15撮影 by EX-ZR1700 , CASIO COMPUTER CO.,LTD. 2018年04月08日 16:44撮影 by EX-ZR1700 , CASIO COMPUTER CO.,LTD. 2018年04月08日 16:51撮影 by EX-ZR1700 , CASIO COMPUTER CO.,LTD. 2018年04月08日 17:06撮影 by EX-ZR1700 , CASIO COMPUTER CO.,LTD. 2018年04月08日 17:07撮影 by EX-ZR1700 , CASIO COMPUTER CO.,LTD. 2018年04月08日 17:23撮影 by EX-ZR1700 , CASIO COMPUTER CO.,LTD. 2018年04月08日 17:28撮影 by EX-ZR1700 , CASIO COMPUTER CO.,LTD. 2018年04月08日 17:33撮影 by EX-ZR1700 , CASIO COMPUTER CO.,LTD. 2018年04月08日 17:38撮影 by EX-ZR1700 , CASIO COMPUTER CO.,LTD. 2018年04月08日 17:51撮影 by EX-ZR1700 , CASIO COMPUTER CO.,LTD. 2018年04月08日 17:53撮影 by EX-ZR1700 , CASIO COMPUTER CO.,LTD. 2018年04月08日 19:54撮影 by EX-ZR1700 , CASIO COMPUTER CO.,LTD. 2018年04月08日 20:13撮影 by EX-ZR1700 , CASIO COMPUTER CO.,LTD.